DOOGEE has been very experimental with the phones they’ve been releasing lately. Their phones bring unique and original designs, great specs, massive batteries, and durable builds. 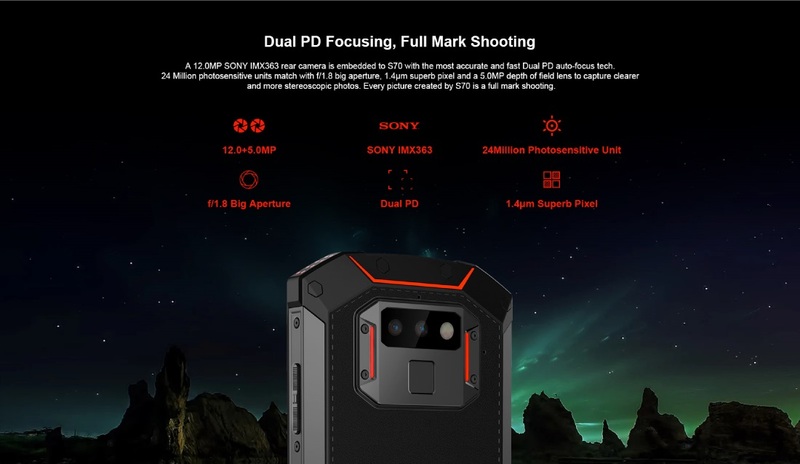 Their newest rugged phone is designed to combine two very important features in a world-first combination: durability and gaming. 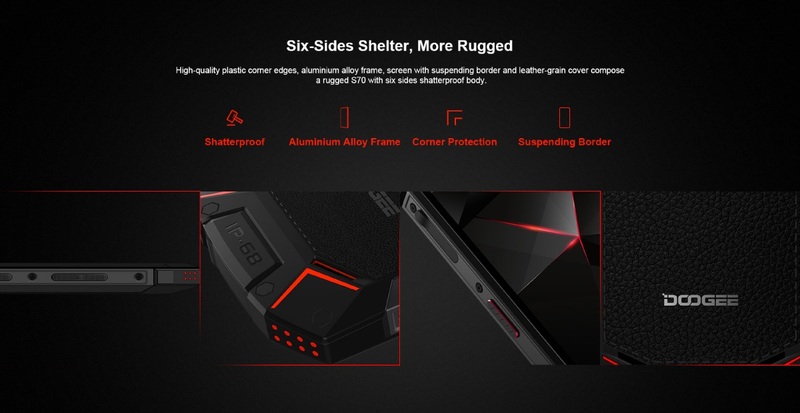 The DOOGEE S70 is the first rugged gaming smartphone. This phone will focus on providing an amazing gaming experience, while maintaining high durability standards. The camera is also a heavy focus of this device. The main camera is made up of a 12MP SONY IMX363 with a 5MP depth of field lens. This combination will take clearer photos with the f/1.8 aperture. The camera uses 1.4µm pixels giving you fantastic low-light performance. The selfie camera is a 16MP Samsung sensor with an f/2.0 aperture. Use the beauty mode to take stunning high quality selfies. Extreme cooling efficiency keeps temperatures low even when gaming. The DOOGEE S70’s powerful specs and massive 5500mAh battery were put to the test on some of the most popular games. Here are the play times you can expect with the following apps. 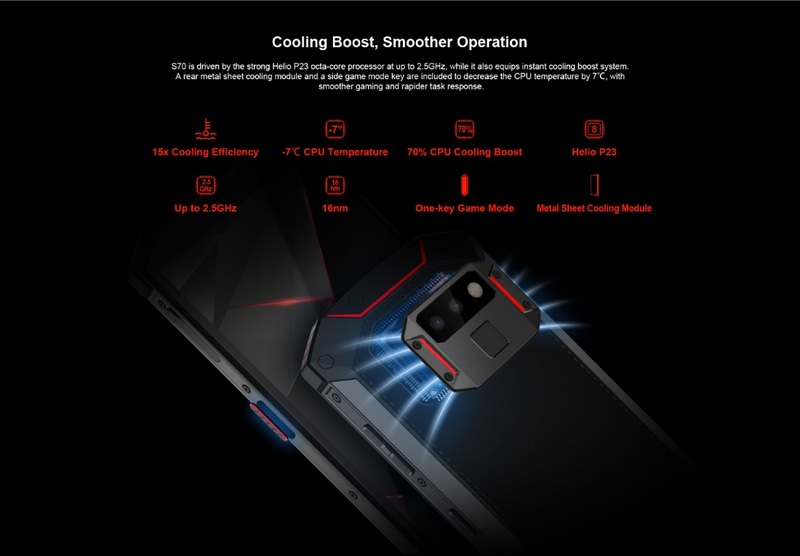 DOOGEE has implemented several features to add to the durability of this phone. You’ll find that the screen is shatterproof, an aluminium alloy frame, corner protection, and suspended borders. The phone has an IP68 protection rating, making it water and dust resistant. 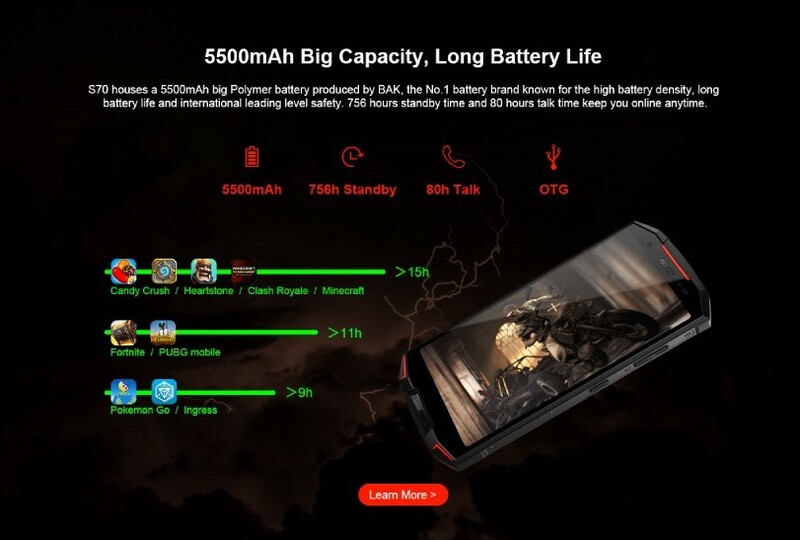 Follow the Indiegogo campaign for the DOOGEE S70 to get the latest info on this smartphone.